We welcome all former crew members of Intrepid and Growler and their families to visit the Museum. Our former crew member community is at the heart of everything we do; whether donating incredible artifacts that give visitors a new perspective or speaking with young people about their personal experiences, we are honored to preserve their legacy for future generations. Do former crew members of Intrepid or Growler receive discounted admission? Yes – Former crew members receive complimentary admission with one guest. Additional guests may receive a 20% discount. What identification do I need to show I served on board Intrepid or Growler? Acceptable ID includes any document that demonstrates service on Intrepid or Growler (ex. DD-214). If you do not have verification, please contact our team at 646-381-5351 or fcm@Intrepidmuseum.org in advance of your visit. I am interested in becoming a volunteer at the Museum. How do I get involved? Volunteers are an integral part of the Museum. 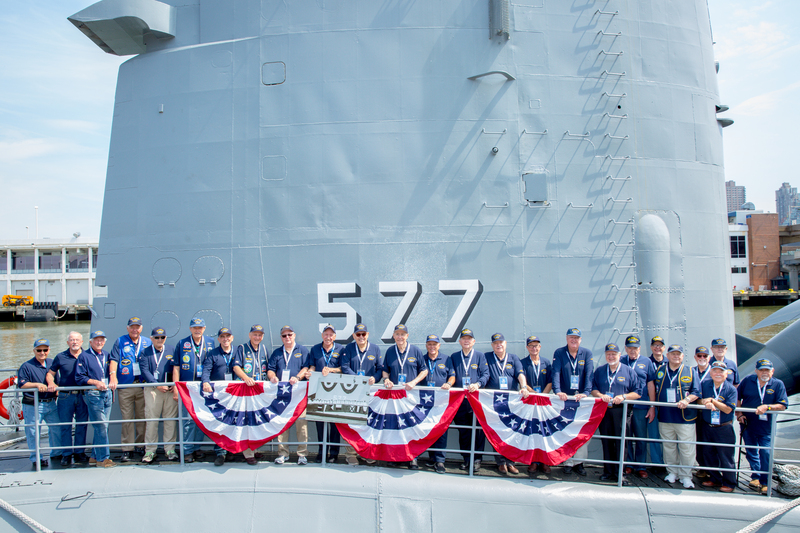 Many of our volunteers are military veterans, including a number who served aboard Intrepid or Growler. Our volunteer staff works either with the public or behind the scenes to assist in promoting and sustaining our mission. Applicants must be at least 18 years of age and be willing to participate with a regular 8 hour monthly commitment for a minimum of 6 months. Click here to learn more. Are there special events or programs available to former crew members and their families? Yes – As part of the Museum’s Veterans Access Initiative, crew members and other veterans are welcome to participate in a variety of programs geared toward military service members and their families. To view a schedule of upcoming programs and learn more, click here. Does the Museum collect stories about my service on Intrepid or Growler? Yes – we are always happy to hear from crew members about their experiences. 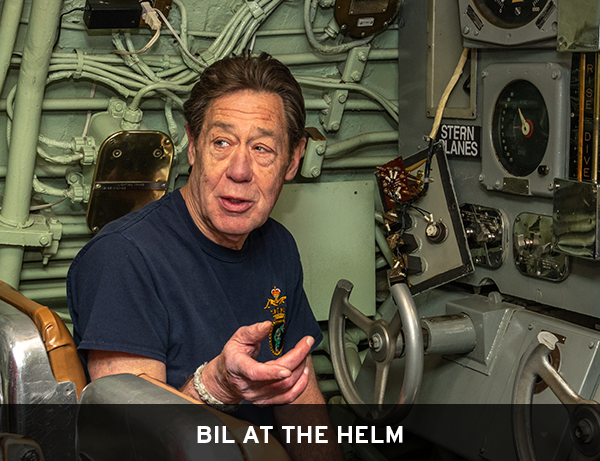 The Museum launched its Oral History Project in 2013 with the goal of collecting the stories of those who served on board the aircraft carrier Intrepid and submarine Growler. For more information about the Oral History Project, click here. Are there special tours available for former crew members and their families? To view our public tour schedule, click here. If you have special needs for your tour, contact our team at fcm@Intrepidmuseum.org to coordinate a visit. Can I make a special gift in honor or memory of a crew member? Yes – to donate to the Museum in honor or memory of a friend or family member, please visit our donation page. Please indicate if you would like us to notify an individual of your generosity when completing the form. Thank you for your support! Do you have any naming recognition programs to honor a crew member? The Seats of Honor program has recently ended. The Museum is working diligently to develop a new tribute program. If you are interested in being a part of our next effort to honor those who served aboard Intrepid or Growler, please email fcm@Intrepidmuseum.org so we can keep you updated. If you are interested in learning more about Seats of Honor, click here. I have items/photographs from my time on board Intrepid or Growler. Does the Museum accept these artifact donations? Yes – The Museum collects items related to the service history of its vessels (Intrepid & Growler) and aircraft (Concorde & Enterprise). If you are interested in donating items or learning more about the donation process please email collections@Intrepidmuseum.org to be put in touch with our collections manager. My family member served on Intrepid or Growler. How can I find out more about his connection to the ship? The museum does not maintain complete crew records for Intrepid or Growler. However, our archives do contain some information about individual crew members. Contact our collections staff at collections@Intrepidmuseum.org to see if our archives have any material about your family member. Former crew members and next of kin can request military personnel records from the National Archives. Click here for more information. The best way to stay in touch and learn about upcoming programs and exhibitions is to sign up for the Former Crew Member Museum’s e-newsletter.